Last week we went into detail about the negatives of milk consumption, the makeup of milk proteins, and casein specifically. Let’s switch gears for a moment and take a look at how casein is extracted and used to produce the food stuffs you can find casein in such as regular cheese, Vegan cheese, ice creams, butter, yogurt, etc. It is even found in non-food products such as glue! The production of casein products typically requires heat extraction which coagulates proteins. They use cheap chemical acids found in fertilizers and household cleaning products to process the casein as cheaply as possible to increase their profits to a similar level as pharmaceutical companies. This leaves a toxic protein that, when broken down in your body, releases toxic by-products into your tissues. There are three types of processing casein goes through to be used in various ways and have vast differences between them. First is native whole cow’s milk casein which account for close to 80% of the milk’s amino acid content. In it’s raw original form, casein occurs along with whey to yield a most functional protein, which is naturally designed to nourish and promote healthy growth of the species specific mammalian young it was designed for. Raw milk casein is made out of a complex group of protein clusters called “micelles,” which are bound with calcium, phosphate and citrate ions and exist at a slightly acidic pH of about 6.6. Plasma blood pH is about 7.4 and human breast milk is 7.2. Drinking cows milk raw or pasteurized is acidifying to the human body. The casein has distinct anabolic properties. This means that the concentration of circulating amino acids is high offering more building blocks for the muscles. This is more evidence to eat 6-8 small meals throughout the day to keep amino acids circulating in the blood to maintain muscle anabolism. It is especially good to have last meal of the day higher in protein to ensure circulating amino’s while sleeping for rebuilding. The casein forms a “clot” in your stomach, which can be thought to provide slow, sustained release of amino acids to your circulation for several hours, but upon further investigation we can see that it is instead very difficult to digest, depletes our resources of digestive enzymes as well as proteolytic enzymes, triggers white cell production which depletes the immune system, and whatever is left over and can’t be digested is left to constipate the intestines. 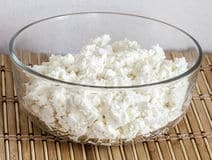 Second is cheese casein, which is enzymatically separated from the whey, during cheese manufacturing, and separated from important peptides (glycomacropeptides), but still leaving the curd a complete protein. This means the casein is concentrated in the final cheese product, increasing the amount that enters your body. There will be more indigestible proteins circulating in your body and causing toxicity and constipation. Last is Industrial casein, which are highly acidifying and need to be chemically alkalized to be edible. 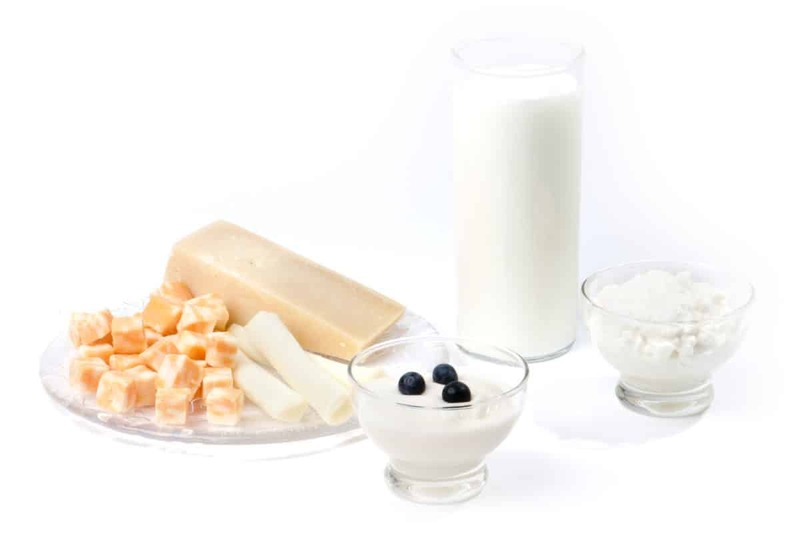 All industrial caseins are protein isolates, most of which are extracted from ultra-pasteurized milk (a byproduct of cream manufacturing that has been thermalized), often using extreme acid/heat processing (chemical acids: hydrochloric acid or sulfuric acid; natural acids: lactic acid). This processing causes sulfur-containing amino acids, methionine and cysteine, to be denatured leaving them unusable by the body systems. Methionine is an essential amino acid while cysteine is a conditionally essential amino acid. These sulfur-containing amino acids play key roles in sustaining your body’s immune system. The casein is pretty much “beaten” by acid, heat, high-shear centrifuging, and high heat multiple drying processes, which literally destroy the integrity of the protein matrix. What remains is a protein mess contaminated with toxic chemicals that are used to clean toilets or manufacture fertilizers. NOTE: Ultra thermalized casein has been linked to increased risk of colon cancer. Thermalized casein is a highly denatured protein that can’t be fully digested by the human stomach, causing undigested protein residues to leak out of the intestines triggering the immune response and what doesn’t leak out will be fermented by colonic bacteria into highly carcinogenic phenolic compounds that promote colonic tumors and cancer. NOTE: Sulfuric acid is a highly toxic substance found in acid rain and mine drainage and is considered an industrial hazard that causes skin burns, erosion of teeth, chronic damage to the respiratory tract, depletion of vitamin B12 and possibly neural damage. Hydrochloric acid is used as detergent for household cleaning as well as a chemical reagent in the production of vinyl chloride for PVC plastic. It has corrosive effects on human tissues with potential damaging effects on the respiratory organs, eyes, skin and intestines. Calcium caseinate and sodium caseinate are the most common caseinates and are treated with the alkali chemicals calcium hydroxide and sodium hydroxide, respectively, to make them edible. If we include the term ‘nutritious’ in the definition of “edible” we can see that term could and should be held to question. The reason chemical alkalies are a problem is that they act like “anti-nutrients” damaging the nutrients and suppressing their absorption. As an example, in Dutch chocolate manufacturing, the alkali causes destruction of antioxidant polyphenols rendering the product nutritionally inferior. It’s still edible but will provide the body an inferior form of nutritional building blocks. NOTE: What manufacturers fail to tell you is that the residues of these chemicals remain in the final casein product even after the washing and milling of the curd. This would explain the typical acid aftertaste of many casein products. Common products containing Caseinate are baking goods, coffee creamers, yogurts, spreads, ice creams & frozen desserts, cheese products, infant foods, pasta, meat products, soups and gravies, whipped toppings, protein powders and bars, and Sports drinks. NOTE: Cheese has more saturated fats and more substances that contain hormones than any other food and the incidence of hormonally generated cancers, such as breast and prostate, has increased accordingly. Americans have doubled cheese consumption over the last 30 years. While the lactic acid process may sound less damaging than the industrial chemical acid process we will see that it actually is not much better. Lactic acid casein is a byproduct of milk fermentation. Initially the milk is pasteurized, killing everything, then inoculated with new strains of bacteria, and fermented for a period of 14-16 hours during which much of the lactose in the milk is converted to lactic acid and the pH is reduced to about 4.6, causing coagulation of the casein. The problem with this processing is in the fermentation of the milk. It has been commonly assumed that milk fermentation is healthy and beneficial due to the fact that it yields probiotic/digestive-supporting properties. But the fact is that milk fermentation is not as “simple and healthy” as commonly thought. Milk fermentation damages fragile immuno-peptides and amino acids creating MSG. And if that’s not bad enough, the protein matrix is further “cooked” and thermalized by means of heat exchanger and steam injection. Following the heat treatment, the resultant curd is washed, dried and milled in a similar manner to chemical acid casein. Lactic acid casein is not as “contaminated” as chemical acid casein, but it’s nevertheless damaged by fermentation and thermalization – yielding a deficient protein with MSG. After pasteurization, the skim milk is cooled to a setting temperature, where calf rennet or microbial rennet enzymes are added and mixed thoroughly until the protein coagulates. As with cheese manufacturing, the enzymatic precipitation replaces an important part of the casein protein called glycomacropeptide. This peptide is a highly beneficial component of native casein, being a great source of immune supportive and satiety-enhancing nutrients. The following describes how the separation occurs during Rennet processing. Casein is made out of three kinds of proteins: ∂-casein, ß-casein, and k-casein. K-casein works like a stabilizing agent, keeping the native casein protein matrix in a stable, water-soluble state. During the first state of renneting, the rennet enzymes specifically replace one of the bonds in k-casein, releasing part of the protein chain, glycomacropeptide, into the whey liquid. This action destabilizes the casein micelles, which then form a clot with some of the calcium ions of the milk. What’s left is a casein curd devoid of its glycomacropeptides, which is then cooked and thermalized similar to acid casein. This means that on final evaluation rennet casein is a low-grade protein subjected to protein separation and thermalization. Interesting to note that the caseins glycomacropeptides are “donated” during the processing to the whey liquid, which ironically increases the biological value and nutritional properties of the whey on the account of the original casein donor. NOTE: Rennet casein is generally less damaged than acid casein. It isn’t exposed to the low pH as acid casein, but it’s nevertheless a protein isolate, typically derived from pasteurized milk. Other casein products: Hydrolyzed Casein is an Inferior Protein Isolate and is drenched with MSG byproduct of the hydrolyzation process. Micellar casein is processed similar to milk protein concentrate, but in this case the casein micelles are separated from the whey via microfiltration. The main problem with micellar casein is in its functional properties. It has poor solubility in water and is unstable, as it tends to deteriorate with increased storage time.